Every product has it’s place, because some things just belong together! For the babe that needs it all. This bundle will have you saying “Hot damn, that Fox Tan”! Put together for the bronzed skin lover that will pull out all the stops to reach their absolute darkest tan - FASTER! It starts with our infamous original duo – the Rapid Elixir and Rapid Mist that’ll build some serious melanin and bring on some seriously tanned skin. Next you’ll find our Rapid Watermelon Shimmer! It'll make you tan darker, faster, and leave you shimmering and glimmering from head-to-toe. And now you’re ready to lock in that tan with our hydration hit - Sun Tan Sealer and Hydrating Body Spray that will make your skin glow, bring in the moisture and prolong your melanin production. Step 1: Apply our Rapid Elixir every day, 3-5 days before sun or sunbed exposure. This is your preparation phase. 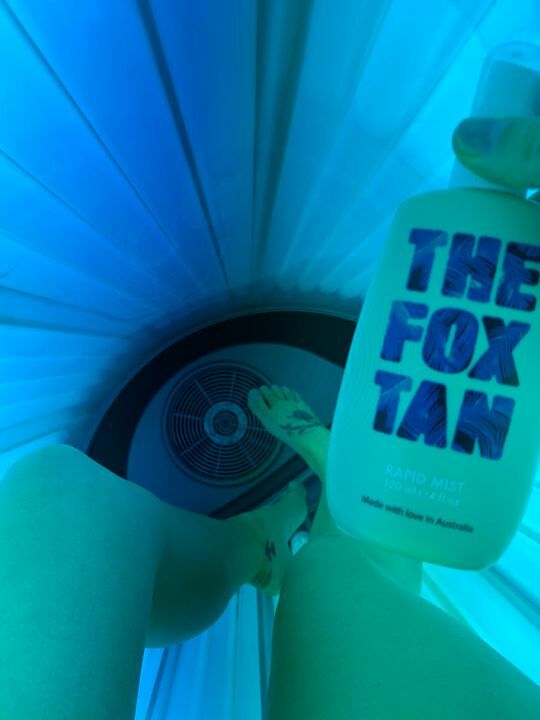 Our active and exclusive FoxComplex® will begin to kick in and start building your melanin levels, ready for your ultimate tanning potential. Continue to use daily during periods of consistent sunshine. Step 2: Apply SPF first and let it sink in completely. Shake bottle well (Rapid Mist or Rapid Watermelon Shimmer) before applying, then spray and rub into skin when gaining UV exposure! Reapply when necessary. Step 3: Lock it in! Use our Sun Tan Sealer daily to prolong melanin production, and keep your tan game going stronger and longer. Massage into warm damp skin after a shower. Step 4: Keep that hydrating going - Spray on face and body anytime! Keep it in your handbag, in your gym bag, at your desk, wherever you want a hit of hydration. Smell like summer all year round! I really struggle to tan, will this help? Yes it sure will. Our products contain our exclusive ingredient FoxComplex™ that helps build your melanin levels. Melanin production is vital for the tanning process and is what makes you tan darker and faster. Can I use SPF with your products? You sure can. We best recommend applying sunscreen first, let it sink into your skin and then start application of The Fox Tan. Keep in mind sunscreen may make the tanning process a little slower however prevent you from burning. Can I use these products in a sunbed? Yes, you definitely can! Our products activate with UV exposure. So whether that’s the sun or solarium we’ve got you covered babe! Are the bottles in The All That full size or sample size bottles? All the products in our All That bundle are full size! I love everything about these products. I bed tan and my tan has never been so nourished and quick!! This gives you a deeper darker tan that lasts!!! I recommend to everyone!! The only thing I would change is making the rapid mist in a bigger bottle! 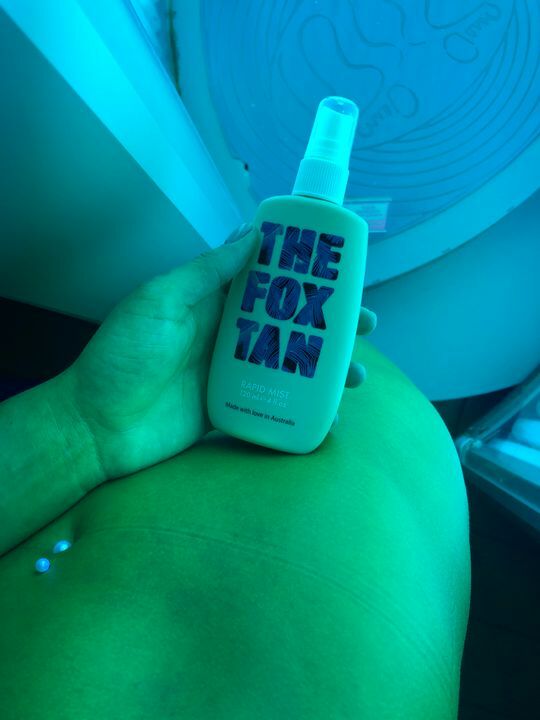 Fox tan is a great product, smells fantastic and is not greasy at all. Enjoyed using all the products especially the after seal moisturizer. So so tan! Will never go back to anything else!! I had one week to get an all over nice tan for a photo shoot so I decided to invest in this product! All it took was a week of using the Elixer and Accelerator to become the perfect golden color! 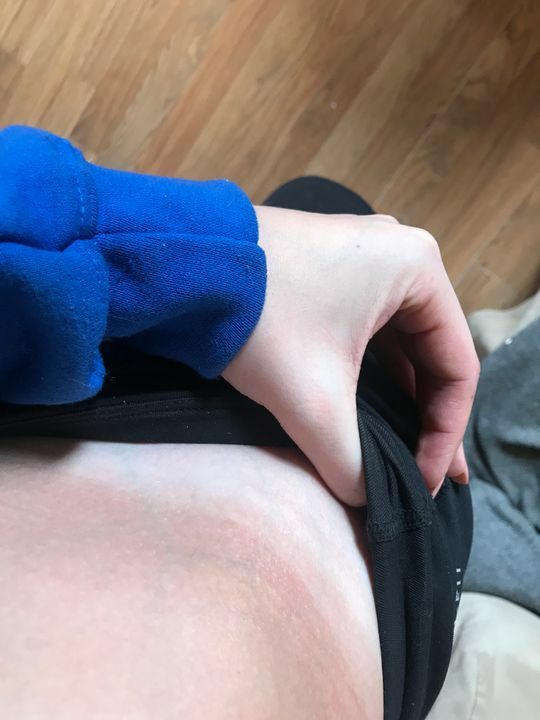 My coworkers the members at my job, and my boyfriends mom were so jealous of my tan, I told everyone about how I got it!